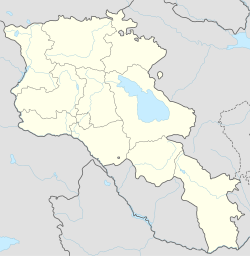 Lichk (Armenie: Լիճք, Romanizit as Lichk’, Lishk, Lichq, an Lichik) is a veelage an rural commonty (municipality) in the Syunik Province o Armenie. The Naitional Statistical Service o the Republic o Armenie (ARMSTAT) reportit its population as 156 in 2010, doun frae 201 at the 2001 census. ↑ "Syunik regional e-Govrenance Seestem" (in Armenie). Syunik Province provincial govrenment. Click on airtin enteetled "Համայնքներ" (commonty) an sairch for the place bi Armenie name. This page wis last eeditit on 10 Mairch 2018, at 23:48.